With working on yourself comes a lot of thinking about your own and other people’s characteristic, their ‘personality traits’. Noticing your own behavior & those of other’s, too and then confronting yourself with that perception is a vital part of growth. It is a very good thing to reflect and conflict yourself as it will help you improve yourself and grow as a person. what’s that characteristic? Read on & find out! But first I want to say something that is totally not related to this article but I have to say it anyway: I am so sorry for posting this article so late & I promise it will not happen again. Have a good day & read on! This personality trait is very specific but it can be used in such a wide-range: vulnerability. 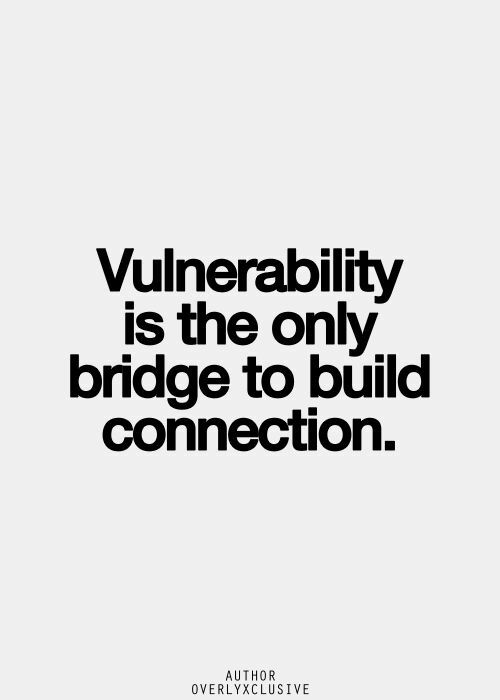 With vulnerability I mean being vulnerable, honest and open about anything. It means not afraid to be yourself and not ashamed of it. I obviously don’t mean telling a stranger all your secrets immediately, but you can say I admire people who are comfortable being uncomfortable. Someone who is not too afraid to say ‘well, this is uncomfortable’ or ‘okay so we have nothing to talk about, what did you do this weekend?’. This might sound weird, but addressing a certain situation and then trying to change it, is something quite rare to have, apparently. You might think now: ‘why would you say that a conversation is stuck?’ Well, if you say it, you have an opening of letting the conversation go wherever the conversation is supposed to go. You can talk about anything you want, because you addressed silence and perhaps, awkwardness. But with being vulnerable I do not only mean handling uncomfortable situations, it also is being honest when you feel a certain way or you are having an issue. Let’s say you are having your period and you are in a public place. You don’t have any sanitary towels or tampons with you, so you are basically screwed. Now, if we’re being honest, back in the days I don’t know if I would be comfortable asking it to someone you don’t really know well. But with being honest, vulnerable, comes, in this case, asking a woman for a sanitary towel or tampon because you really need it. It is not being afraid to tell your issue or to speak what you think, just because people might ‘think you are weird.’ But if you think closely, people who open up like this often come over as more real and people will tend to trust you more. Opening up about something you feel uncomfortable with can be an opening for conversation, a friendship or simply can help you learn more people. If you read further, I will discuss a couple of subtopics I think are worth talking about, including to who I think you should be vulnerable to and a message to you, the reader. This question is not quite the right question to ask, because the answer is simple: everyone. Every person is deserving of your honesty. Meaning every person deserves to know you are not perfect, every person deserves to know you are open to new connections and conversations, every person deserves to be a part of your life. Every person deserves to feel worthy. Now that last sentence might feel a little off, in relation to the article, but if you let a person in on some aspects of your life, you simply let them know: ‘hey, I trust you enough to let you see the real me. You can be you, too and I will not judge you for it.’ And that is, truly one of the most important things I want people to know when they meet me. It is not about ‘being thought of as kind’ or ‘being thought of as popular’, just about making other people feel comfortable with themselves. It doesn’t matter how people will talk about me, more about how I made them feel. Every person, no matter the wealth, skin color, gender or origin, deserves some light in its day and it is so important you try to contribute to that light. With being honest and vulnerable you do that and every person deserves to feel it. By being vulnerable you will learn to accept yourself more. You will have uncomfortable moments, but from those moments you will learn so much, from how to handle them to learning to move on from them. You will see parts of yourself you might have never seen before. If you open up about something, you see how people relate & react to it and you learn so much more about a certain person. With vulnerability also comes friendships that will change. If you show more of yourself than you have done in the past, people will treat you differently, more honestly. 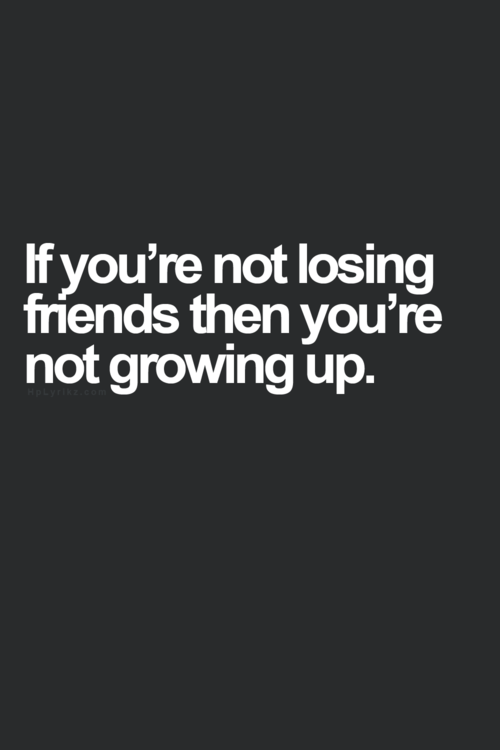 If you are worried you might lose friendships, don’t. The right people will come and the wrong ones will go and some friendships are meant to break so you can learn from them. Being honest means being yourself. Not being afraid to hide, because you have been in the shadows for way too long. It is shining even though it might feel terrifying to show even a little bit of light. It is stepping out of your comfort zone to expand your horizon. To reflect on this article & vulnerability and honesty in your life, let’s do a little exercise. Picture every person in your life that means a lot to you. Every person that always makes you laugh or makes you feel comfortable or someone who simply is your best friend. Picture all those people and then ask yourself: why do I love these people? What specific trait do they have that bonds us with such a close connection? Think about it for a moment. There is a chance you might not come to the answer quickly, so I will give you the answer: rawness. Every person in your life that means a lot to you probably means a lot to you because the person is raw, authentic and honest when you are together. This exercise was to show you that the real friends are the raw ones. If you are honest and vulnerable, you are honest, too. And that is how you will find the real friends. Now you probably are thinking: HOW THE HELL AM I SUPPOSED TO BE MORE VULNERABLE? Let me give you a few words of advice. Every single person is a little scared to be vulnerable and to be open. 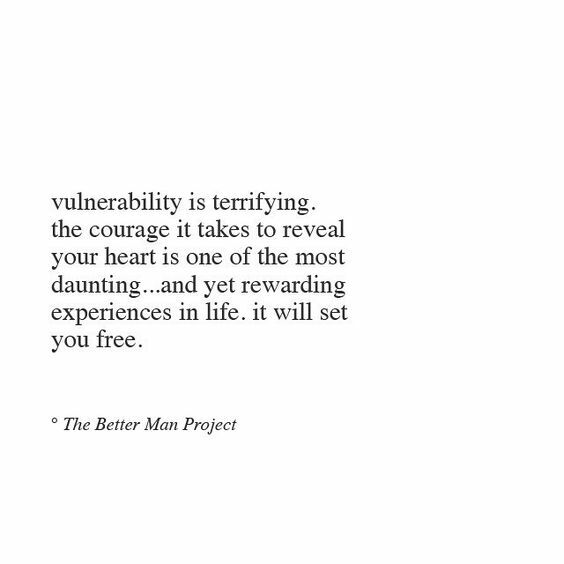 And with that said, being vulnerable is indeed a very brave thing to do. In a society where a lot of opinions are based on the amount of friends, followers and clothes, being the real you can be scary. It is genuinely all about the mindset. If you want to be proof of the opinions, you go and pretend. But if you want to live your best life, find the best friends and be as authentically happy as possible, your mindset can’t be to fulfill other people’s expectations. And that is a brave thing to do, as many are not there yet. But if you start being yourself now, you are making a change that might look really tiny now, but can cause a snowball effect that can change our lives. Don’t be afraid to be the change & don’t be afraid to fall and fly. Don’t be afraid to reach out & comment. I would love to hear your side! P.S. Do you already follow my Instagram and Pinterest? No? Click the links and do it!